Our walk has taken us to the northern extremity of the New Territories in Hong Kong, near to the border with Mainland China. 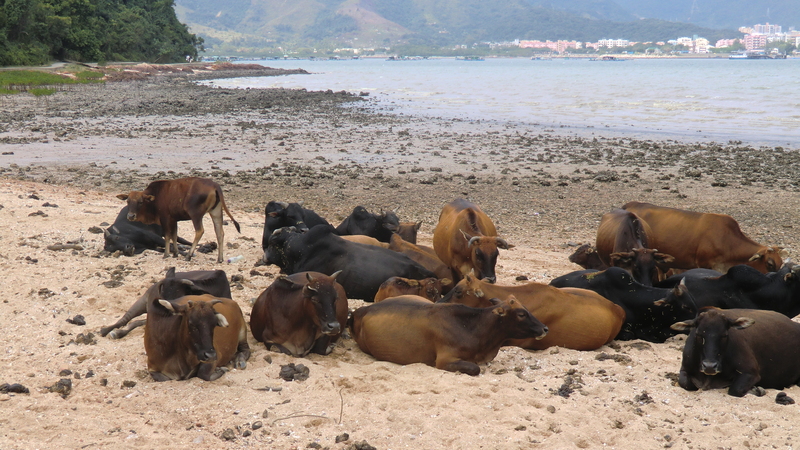 We were surprised to find a herd of cows lying lazily on the beach. 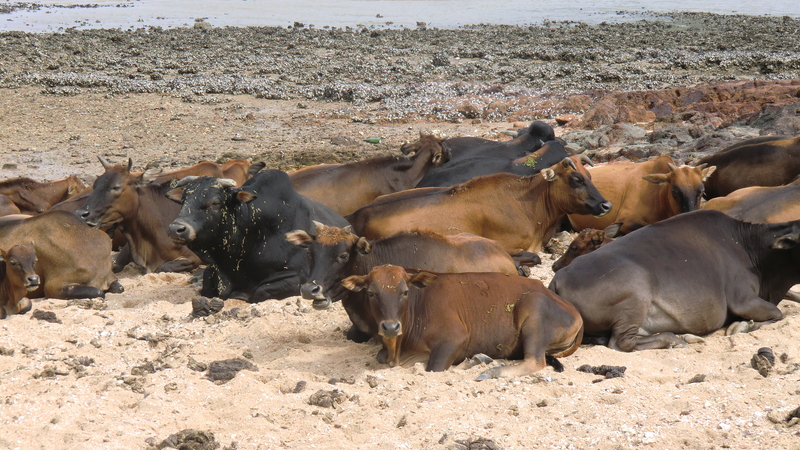 These cows were abandoned by the farmers when the farmers gave up farming and left their homeland. It is also amazing that they also like beaches, as we humans do. Just across the sea, you can have a glimpse of the part of mainland China near to the border with Hong Kong. 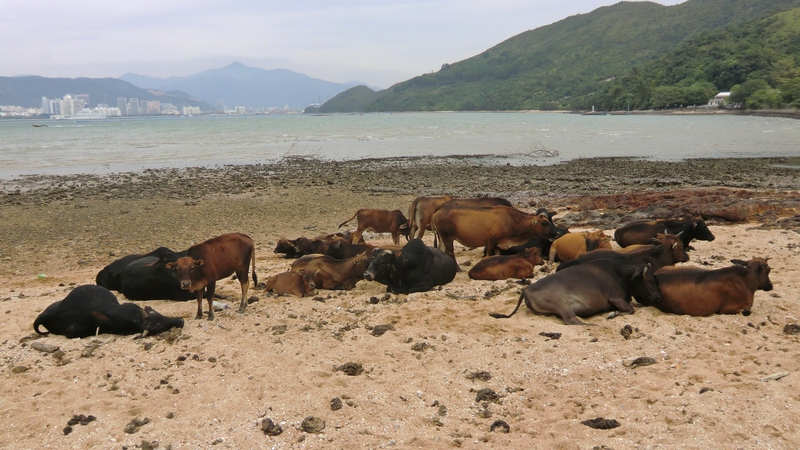 Abandoned cows are not that uncommon in the rural parts of Hong Kong, the more commonly known ones are found on Lantau Island. 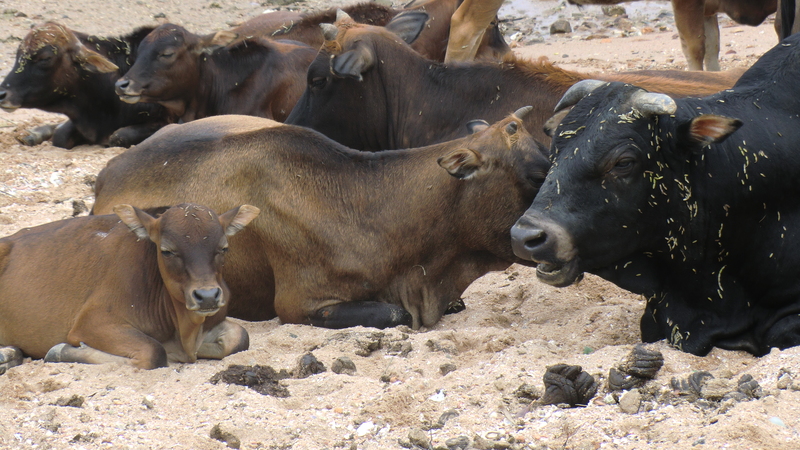 The cows are able to survive and even thrive as there is an abundance of edible plants in the area. These cows seem to be leading a happy and peaceful life . . . . . . I was wondering what can’t we ?? ?